When you think of mastering a fitness barrier, what comes to mind? I was always an active kid. Starting at the age of 8, I played Softball and various other sports. While I wasn't the best batter, I was an amazing player on the field. I had multiple positions, catcher, first base and left field. When I got into High School, I played on one of the best teams in the state. Then I got hurt...badly hurt. A month before my 15th birthday, I had a Spinal Cord Injury (SCI). I bruised C2, C3, C4 and C5. This was a severe SCI and I should have been paralyzed. In fact, my file is used today for medical studies. It is a complete miracle that I am not quadriplegic. I spent quite a bit of time in SICU. I had to learn how to walk again. I went through many years of PT and still have scares every now and then. That injury sidelined me from sports. When I decided that Spring to play softball, I quickly realized I was not the same. My cardio was shot and I quickly became depressed realizing I would never be the athlete I once was. I began to resent sports and by age 17, I quit everything. Fast Forward.....December 2011 work holiday party. My co-worker was running the Disney Princess Half Marathon. She convinced me and another co-worker to sign up for the 5K during that race weekend. 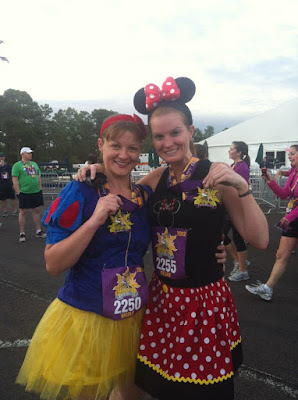 My best friend happened to also be running that same half marathon, so Nicole and I agreed to do it and this was the start to breaking my fitness barrier. Never in a million years did I think I would be where I am today. Thanks to that night filled with too much wine and the encouragement of others, I began the journey of getting my mojo back. I forgot what accomplishing a goal felt like and once I crossed the finish line of that first 5K, I never looked back. 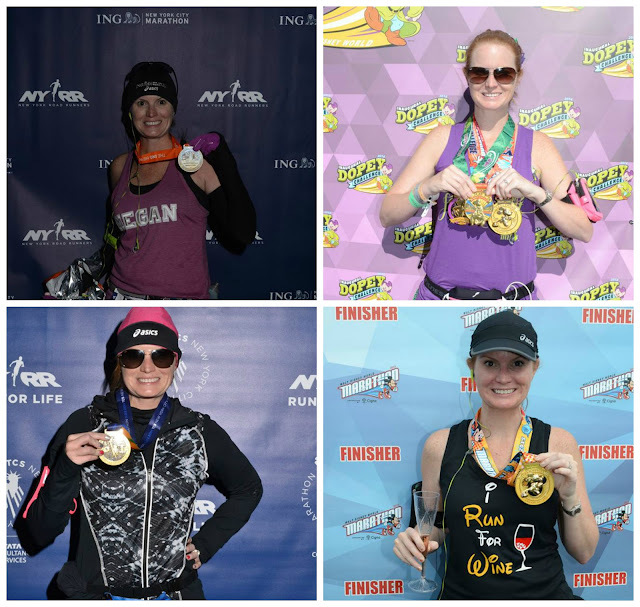 Two weeks ago, I completed my 5th full marathon and I have 13 half marathons in the bag. I will continue to keep going until one day comes that I can no longer do it. Hopefully that day will never come. This my friends is how I mastered my fitness barrier. The reason I am sharing this story with you today is we want to know how your story. ASICS has an upcoming launch of a revolution in long distance running and they're giving away 5 pairs of this yet to be released shoe to select individuals who share how they mastered a fitness barrier. Over the last 3 years, ASICS’ Institute of Sport Science (the ISS) has been researching, prototyping and designing a product they think will master long distance running – all with no restrictions. No time constraints, cost restrictions or any other barriers – they were told to create the best thing they could and they did. Here's how you can win! Share on Instagram what you feel mastering a fitness barrier looks like. Follow the instructions below and 5 lucky winners will receive a pair of this yet to be released shoe. 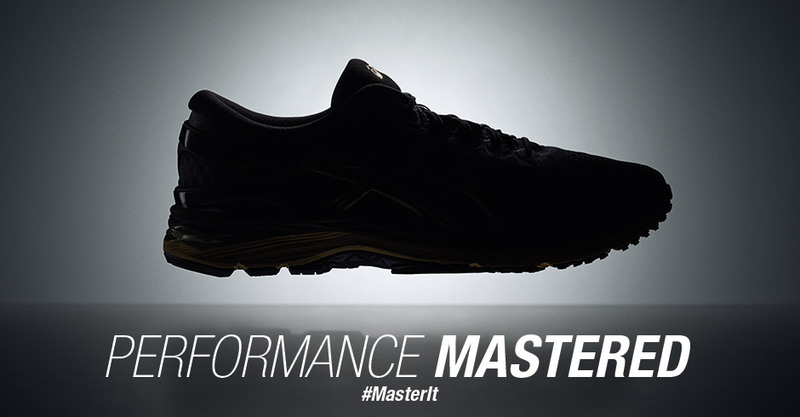 #MasterIt. 2. Check your Instagram direct messages each week to see if you are a winner (selections made on 11/6, 11/13, 11/20, 11/27 & 12/4).